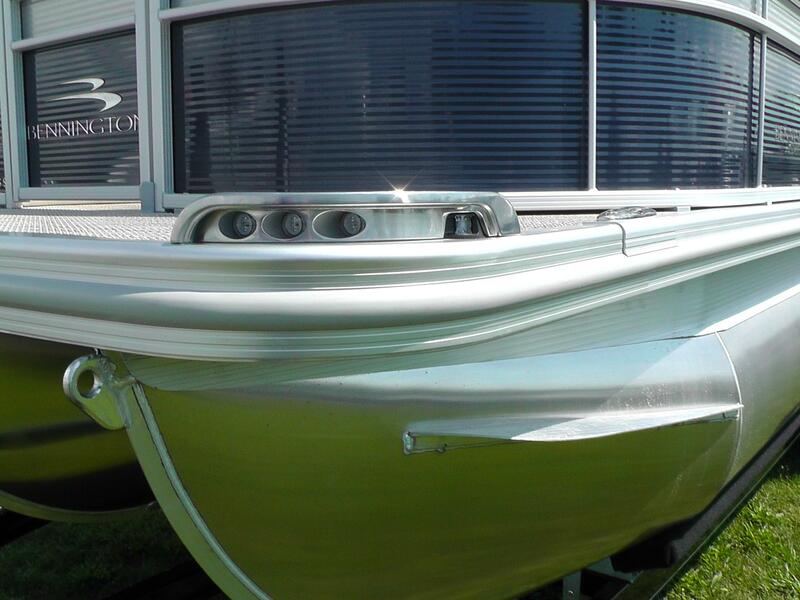 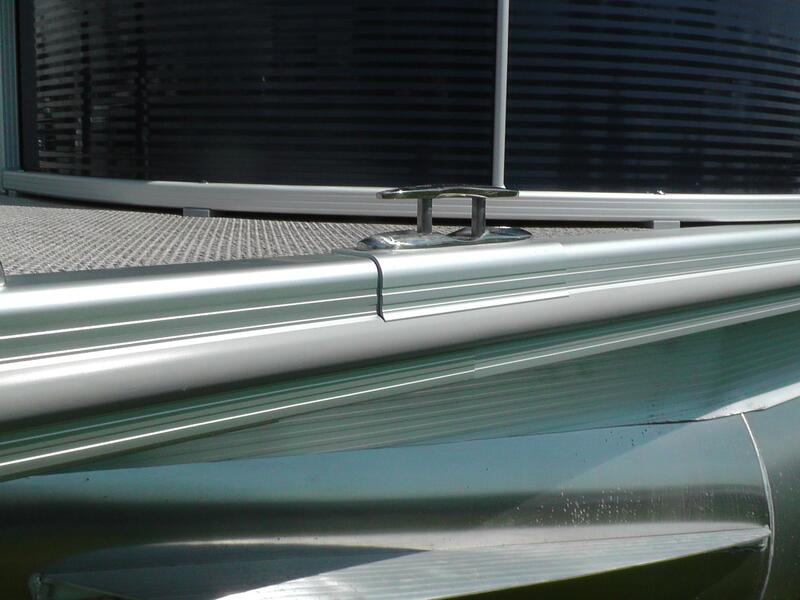 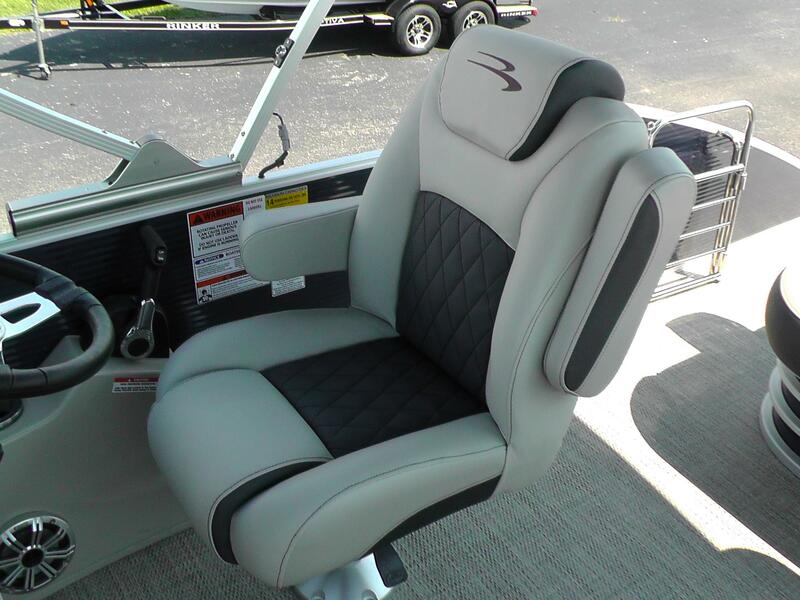 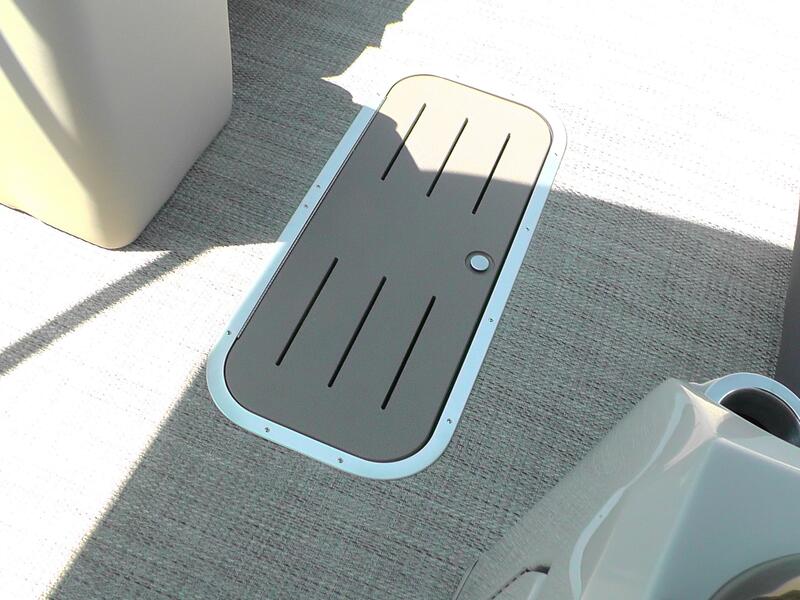 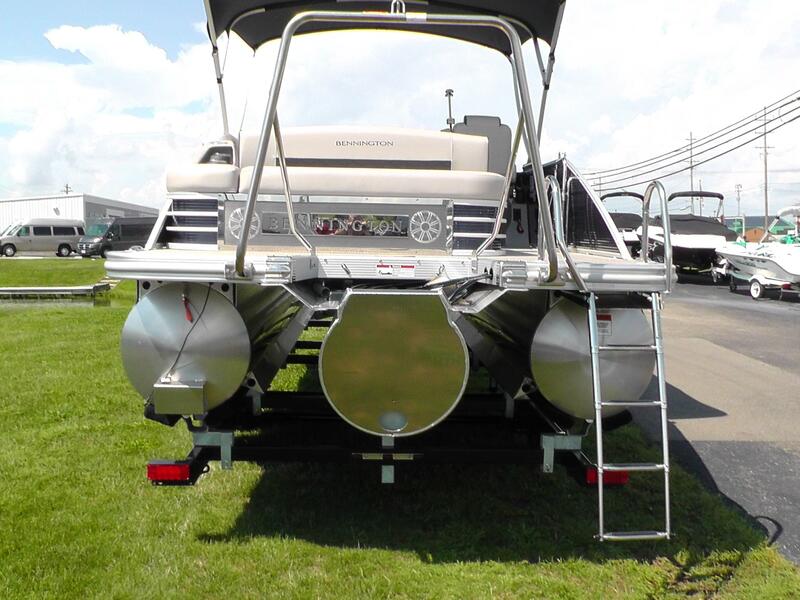 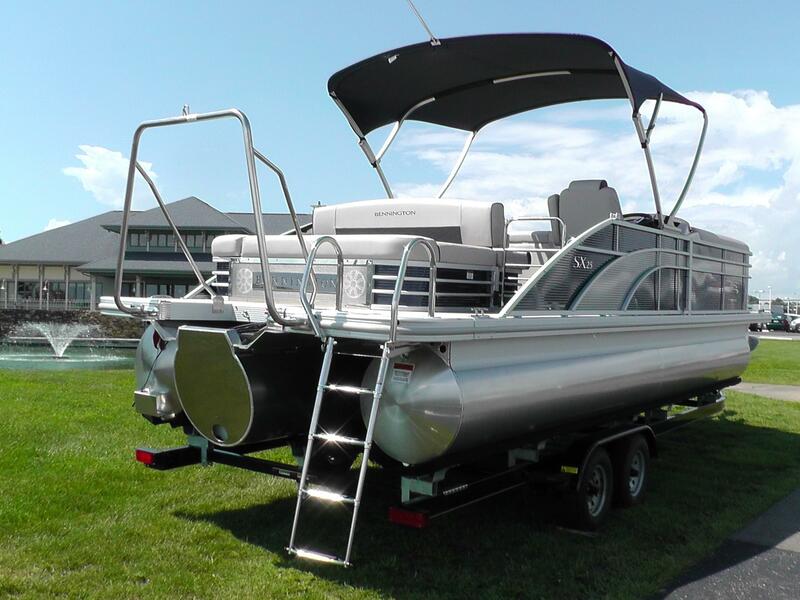 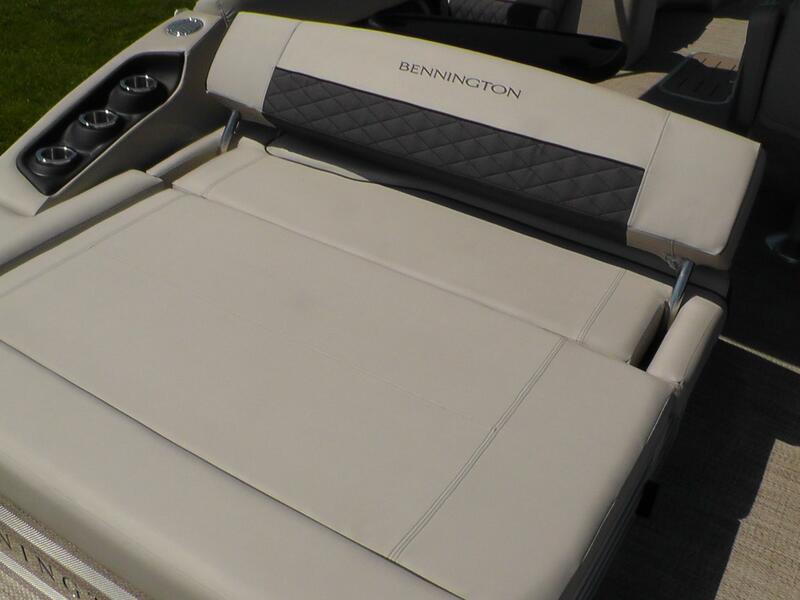 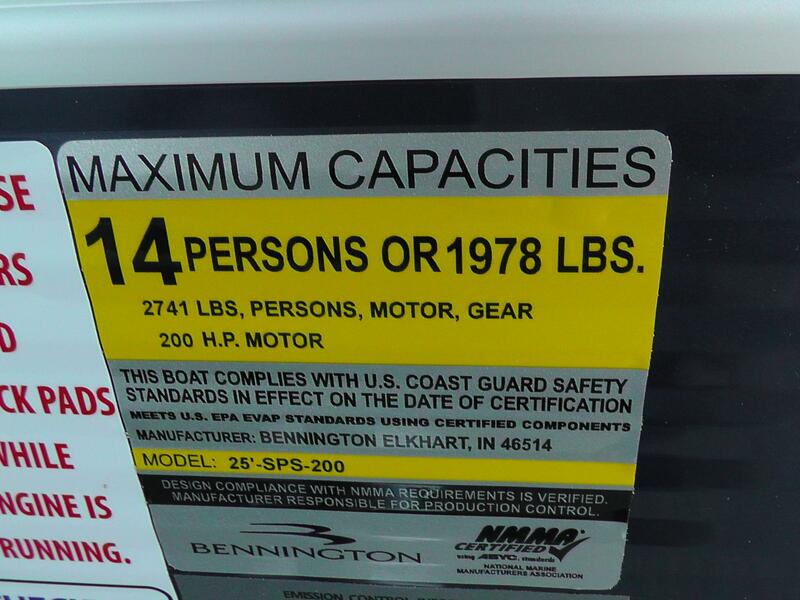 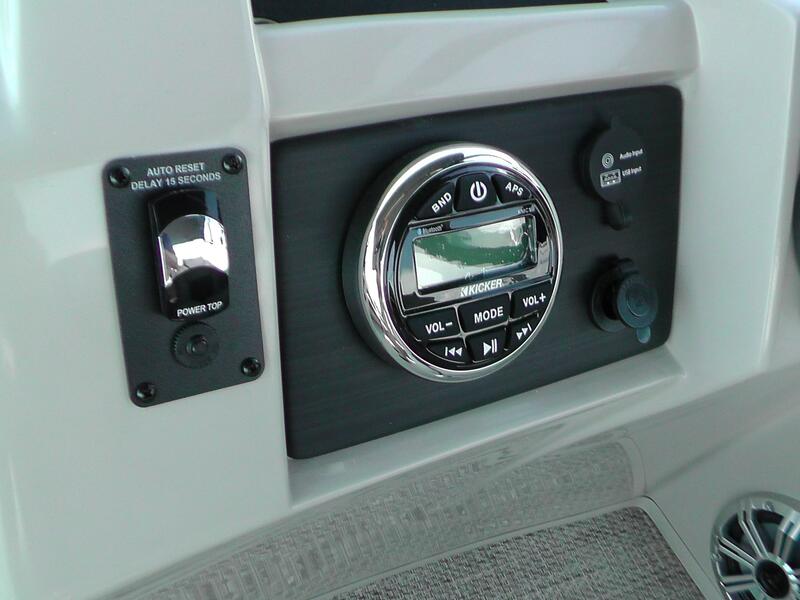 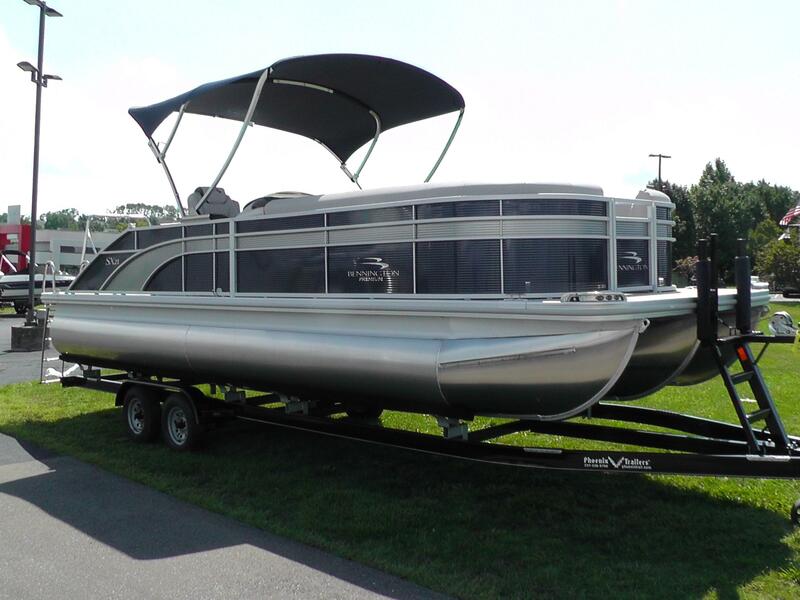 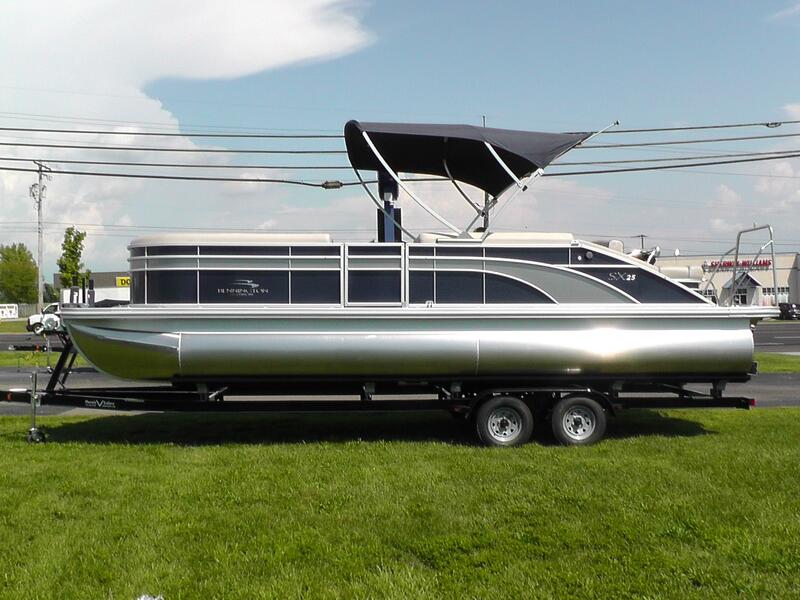 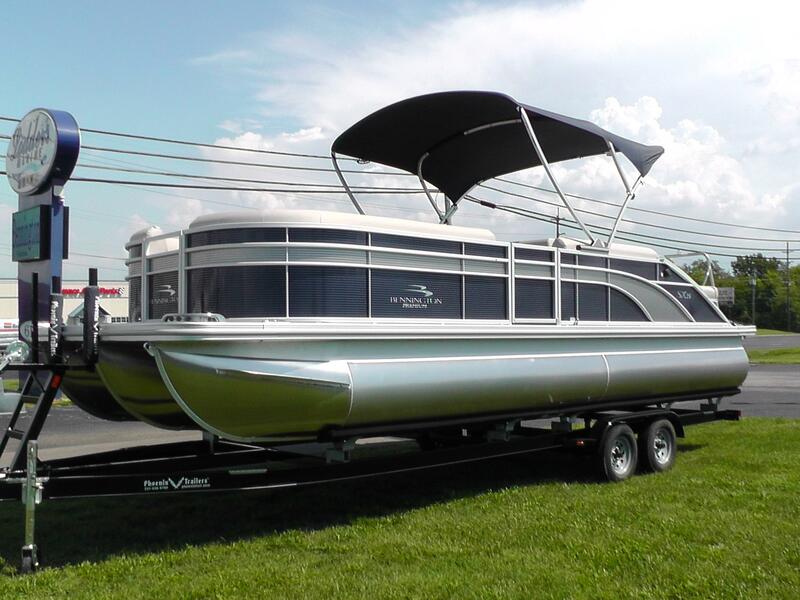 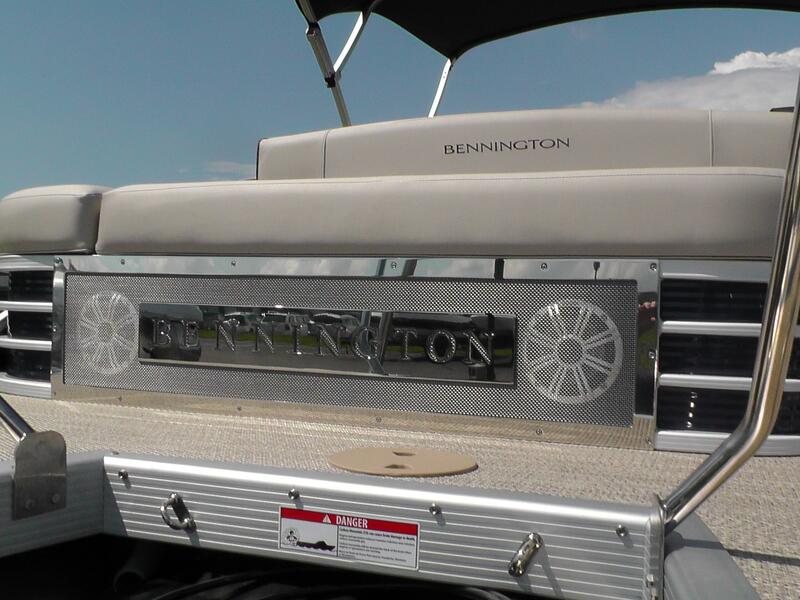 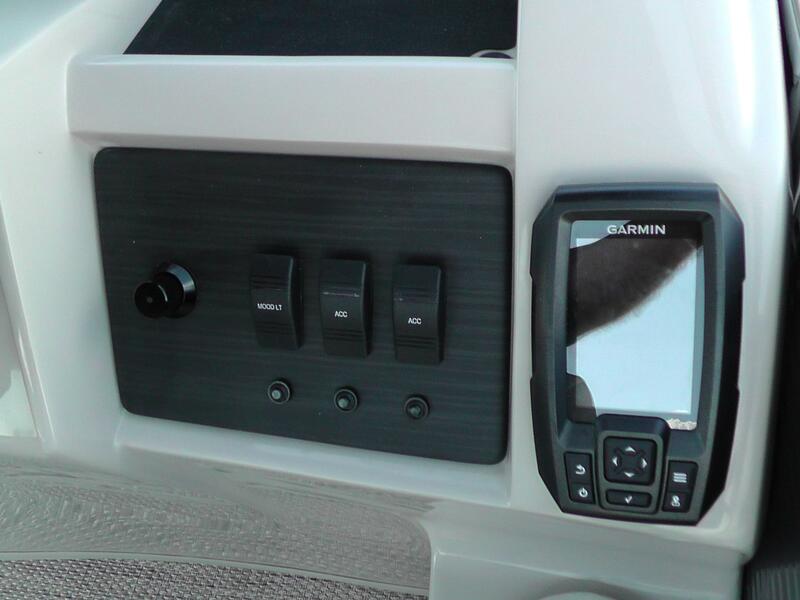 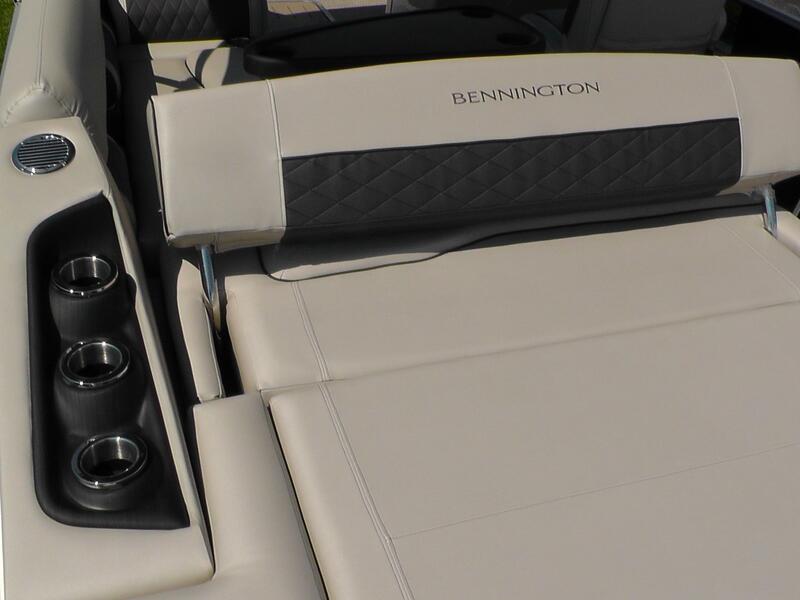 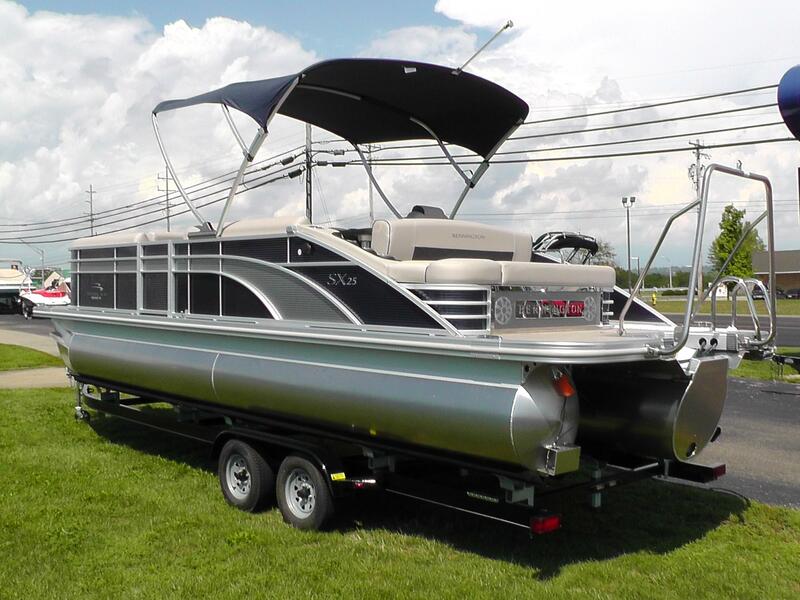 2019 Bennington 25 SSBXP Premium featuring Ocean Blue Panels complimented with Metallic Silver Accents Panels. 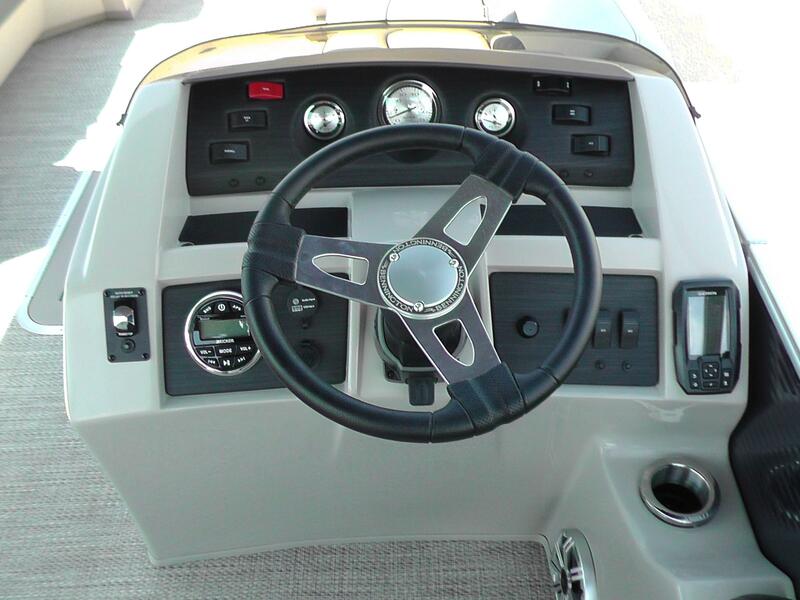 Powered by a 200HP Yamaha 4 Stroke with a Stainless Steel Prop. 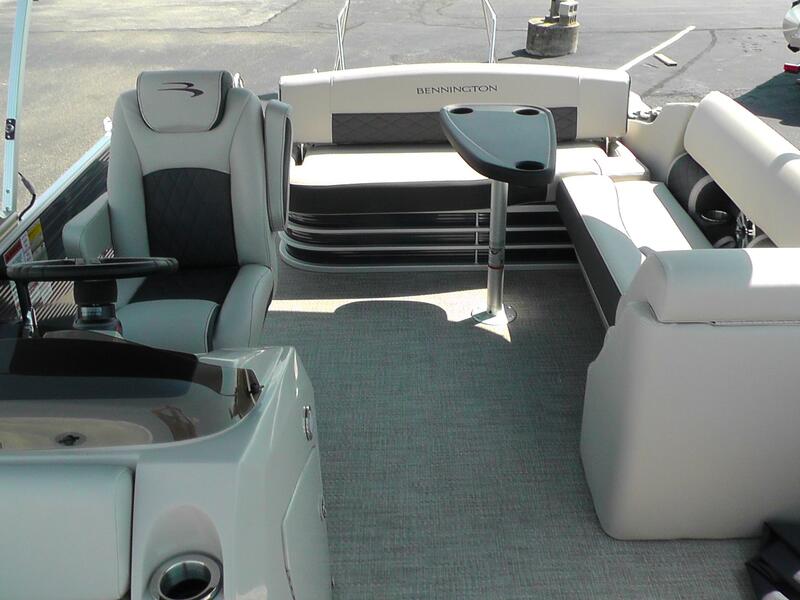 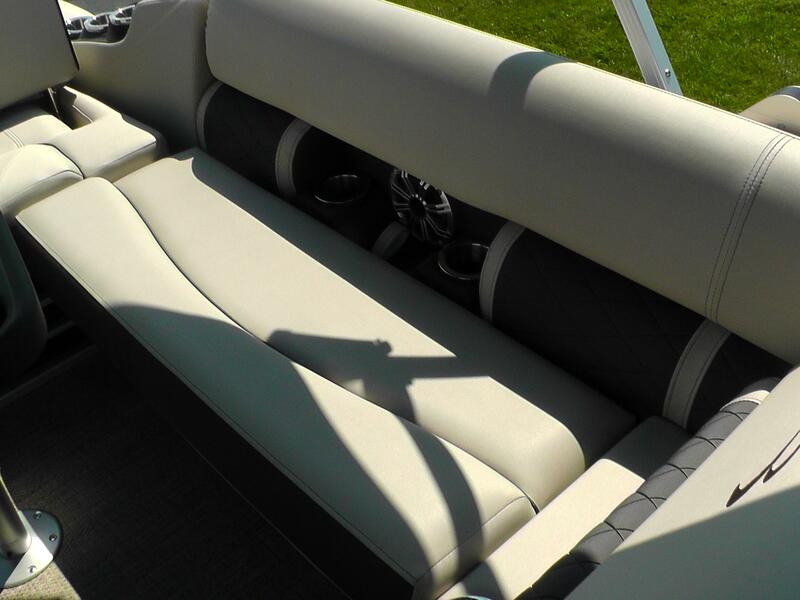 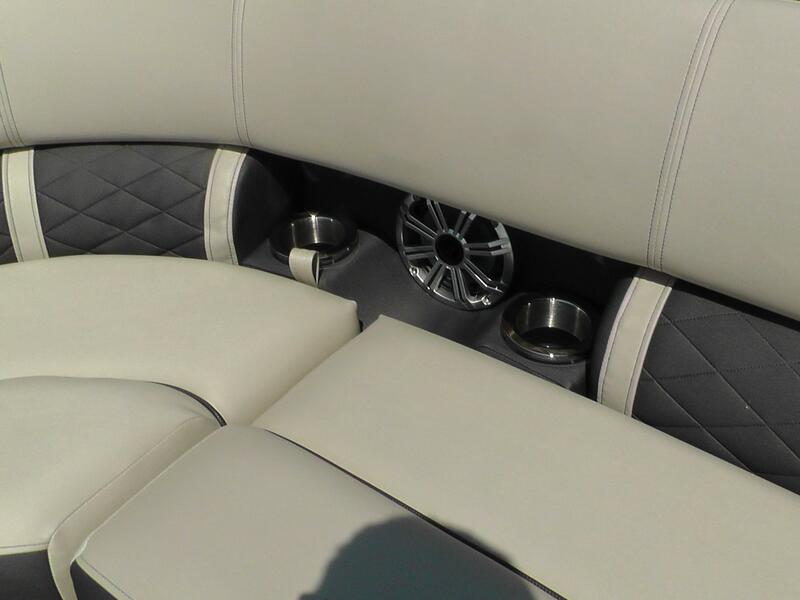 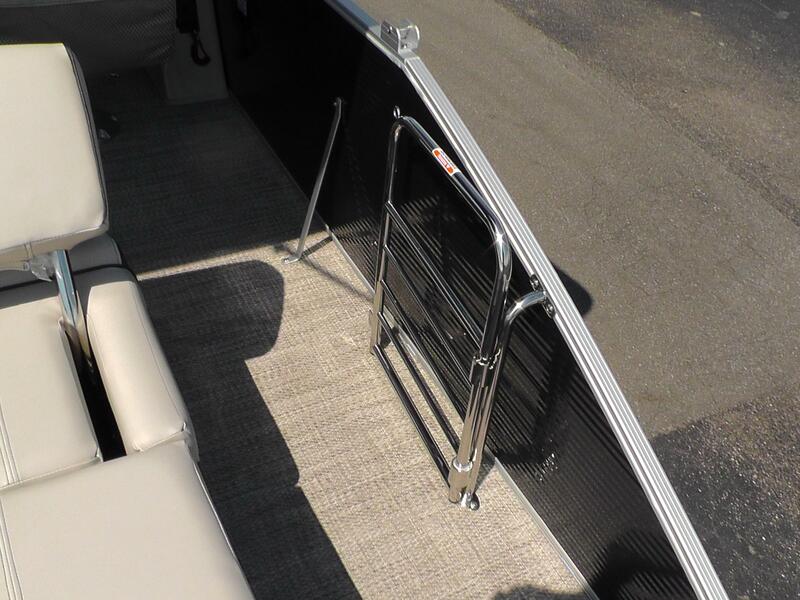 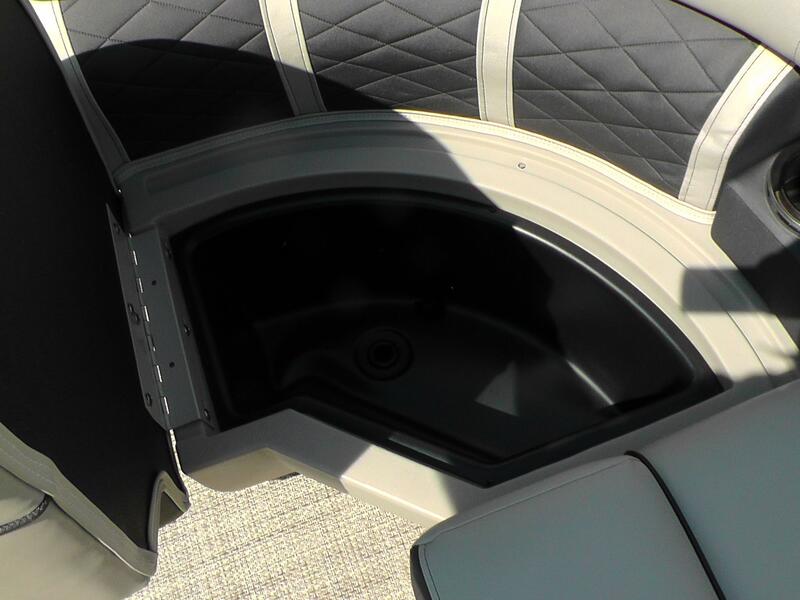 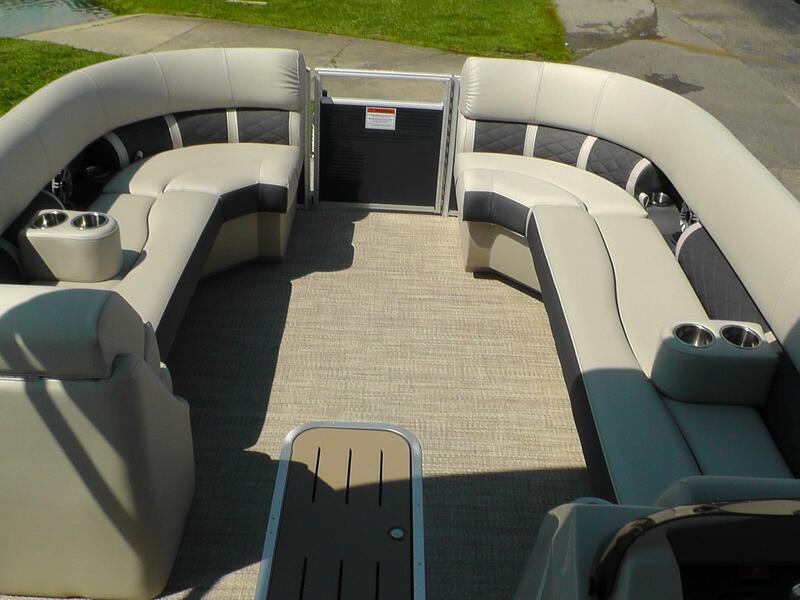 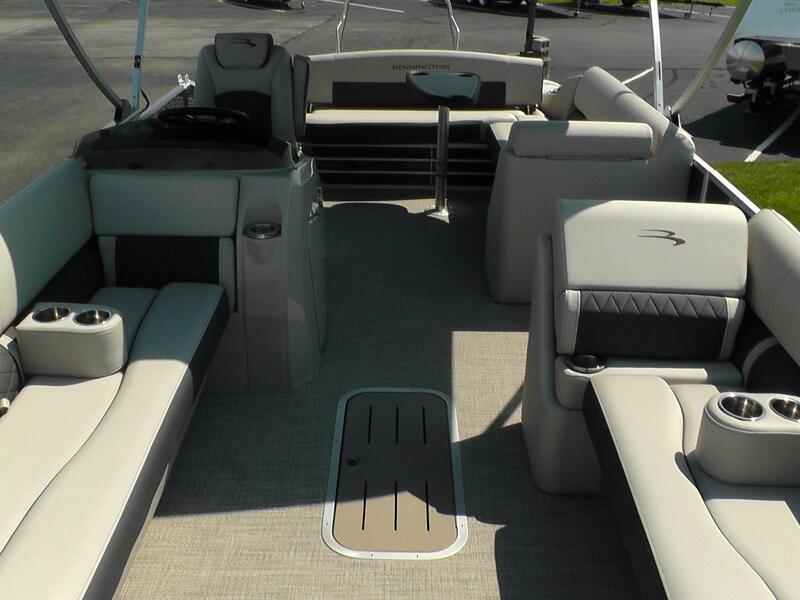 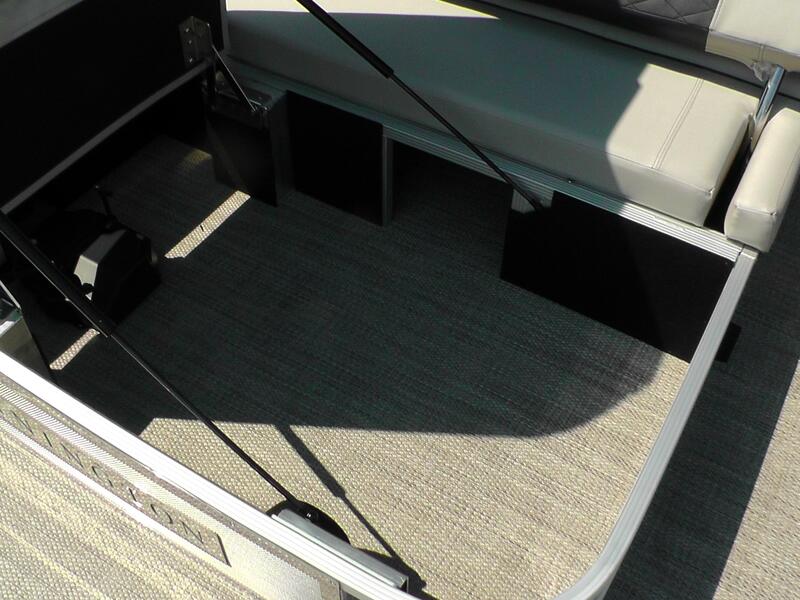 Features Include: Seagrass Slate Flooring, In Floor Storage, Power Assisted Hydraulic Steering, Kicker Sub and Amp Upgrade, RGB Toe Kick Lighting, RGB Lighting, Striker Fish/Depth Finder, Swingback Stern Lighted Grill and Speaker Upgrade, RGB Cupholder Lighting, Sandstone Diamond Pressed Pillowtop Upholstery, Starboard Bow Seat Cooler, Trapezoid Zebrawood Slate Table, Heavy Duty Rub Rail, Pop Up Cleats(Bow and stern), SPS Tube Upgrade (25" Full Length Center Tube, Underdeck Waiveshield, Splash Guards, Full Length V Keels, Lifting Strakes) SS LED Docking Lights, Dual Batteries w/ Switch, Ski Tow Bar, Portable Cupholder (2), 4 Step Stainless Steel Ladder, Reclining Helm Chair with Bolster, Bimini Top, Playpen Cover, and Sharkhide Protectant. 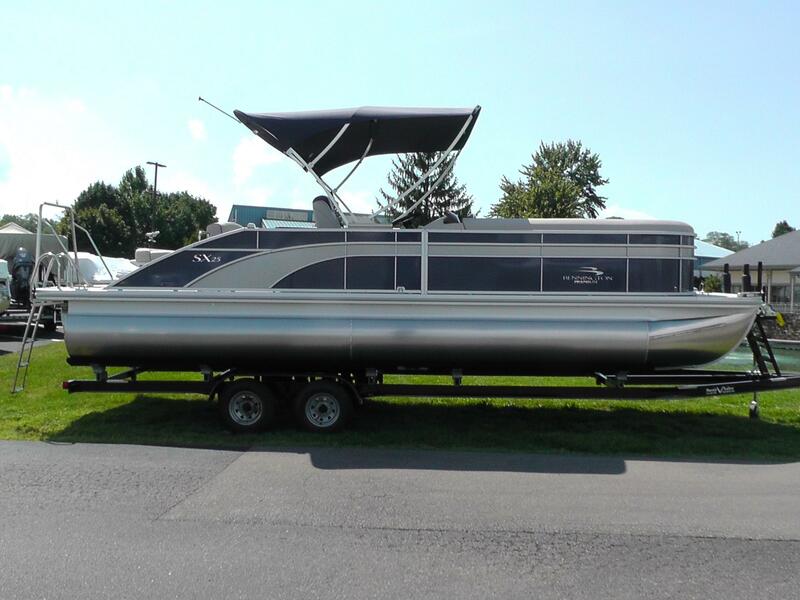 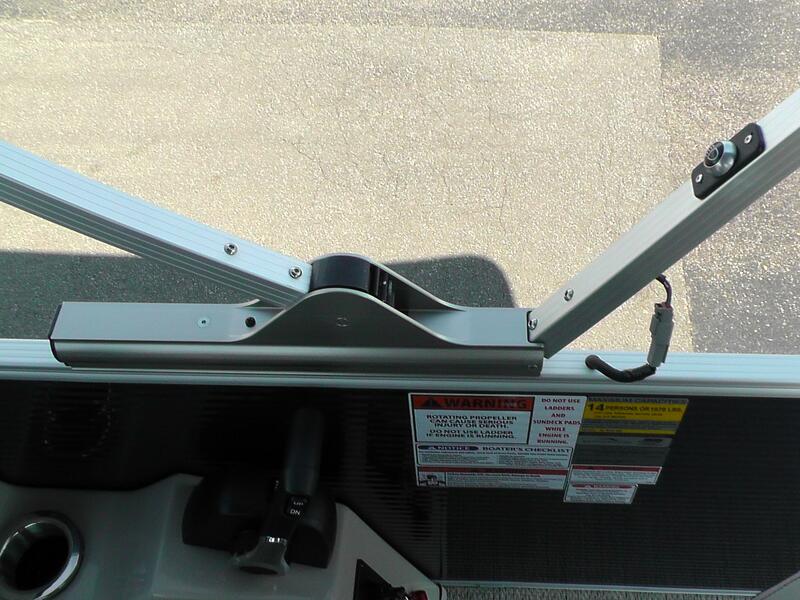 The trailer is sold separately.